This is probably the biggest injustice English-speakers have done to the Arabic language. People. These words don’t actually have Zs in them. When I found out that “zabiha” is really pronounced “dhabiha,” I felt so betrayed. How can we expect non-Muslims to say “Muss-lim” instead of “Muzz-lum” when we can’t properly pronounce Dhuhr, one of our five daily prayers? I know, this isn’t the biggest deal in the world, but come on. I just don’t understand how this has become such a universal mistake. Now, will I stop saying Zabiha and start saying Dhabiha? Maybe… if I’m talking to an Arab. Hey, 20+ years of pronouncing a word the wrong way takes time to undo. That’s it for this month! I did it! Even despite having finals this week! Thank you all so much for keeping up with my posts. I loved having conversations with you all in the comments. 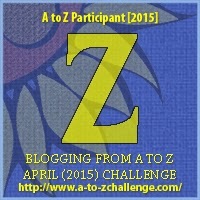 🙂 Especially to those of you who came from the A to Z challenge, thank you so much for giving my blog a chance! As for the future, I will try to post something before Ramadan (which is less than two months away!). I still have a bunch of ayahs from the Qur’an bookmarked from two Ramadans ago that I never got to talk about. I’m toying with the idea of doing some kind of series leading up to Ramadan, but we’ll see. Like I said, I’m in the middle of finals week so my mind hasn’t really thought past this weekend yet.